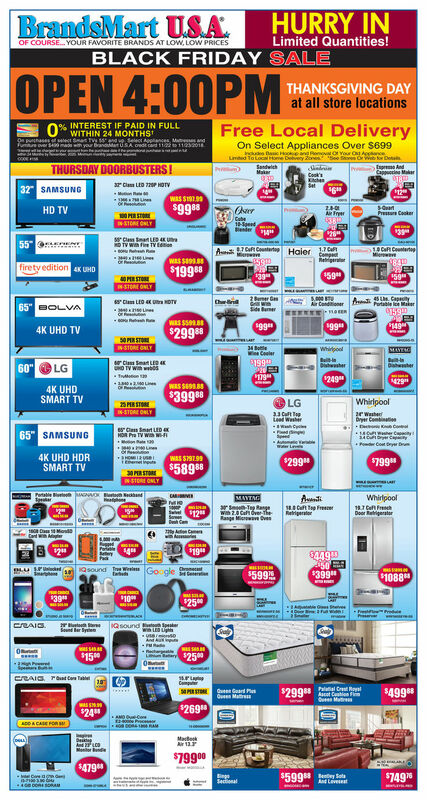 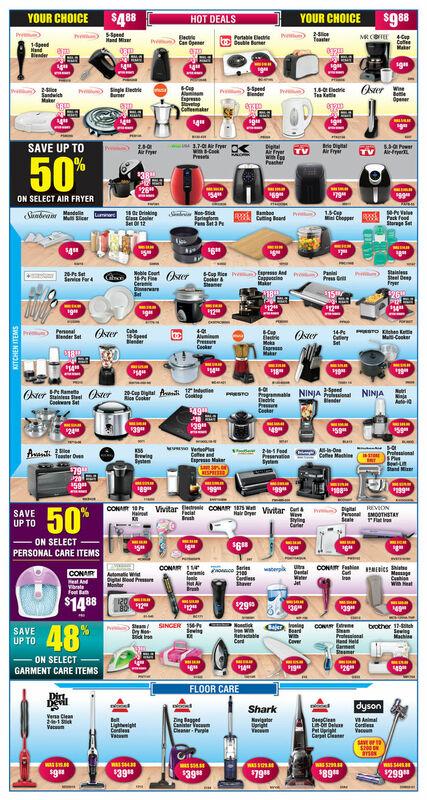 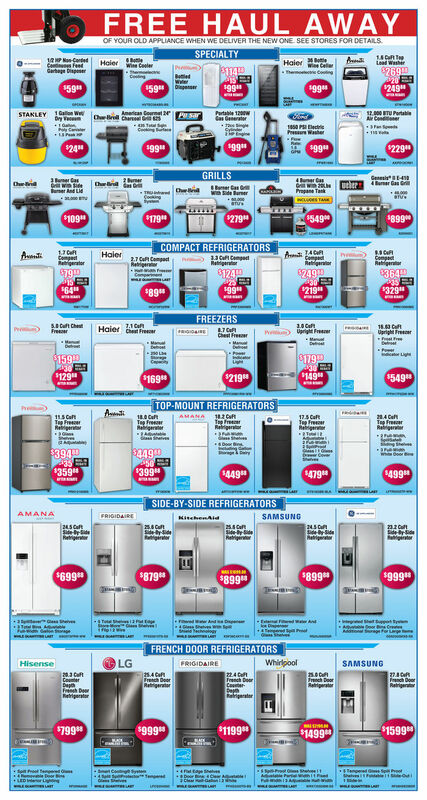 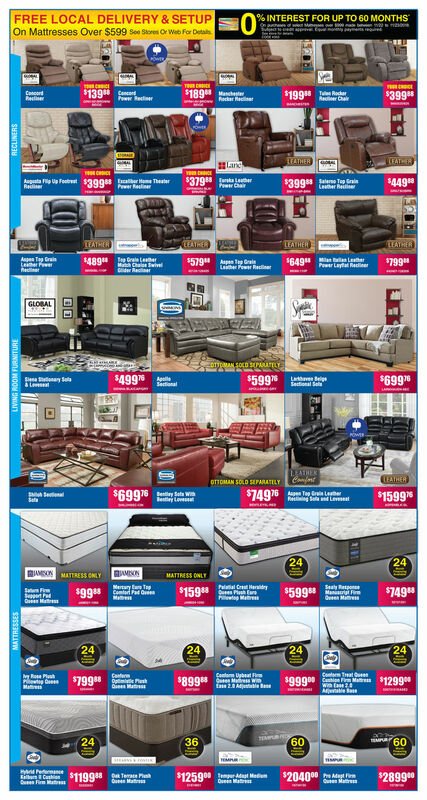 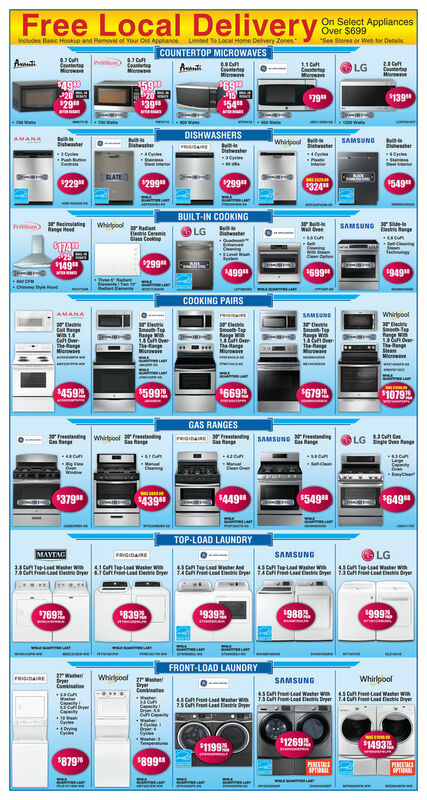 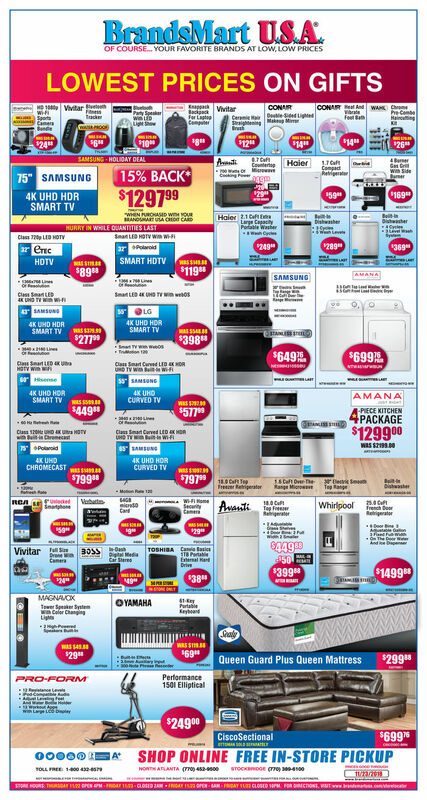 Featured BrandsMart Black Friday Doorbusters: $88.88 EMERSON 40″ CLASS 1080P LED HDTV; $994.88 Whirlpool 24.8 Cu. 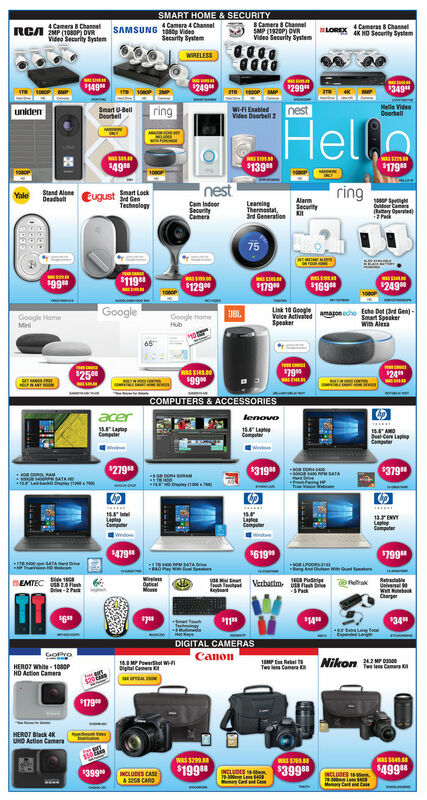 ft. French Door Refrigerator; $199.88 Simmons Midtown Rocker Recliner; $319.88 Philips 40″ Smart LED HDTV With Wi-Fi; $998.88 Vizio 65″ Smart LED 4k Ultra HDTV With Wi-Fi; $1497.99 Samsung 65″ Smart Curved LED 4k Ultra HDTV With Wi-Fi; $94.88 Beats By Dr. Dre Solo 2 On Ear Headphone; $199.88 Frigidaire Built-in Dishwasher; $1494.88 Samsung 24.6 Cu. 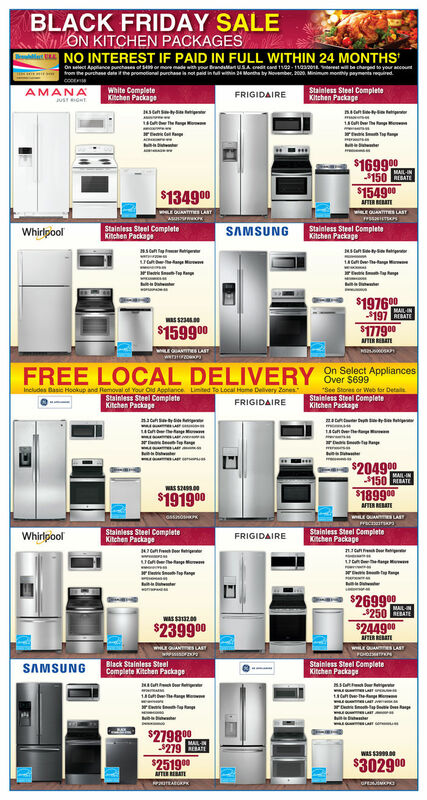 ft. French Door Refrigerator; $299.88 Sealy Basils Firm Queen Mattress. 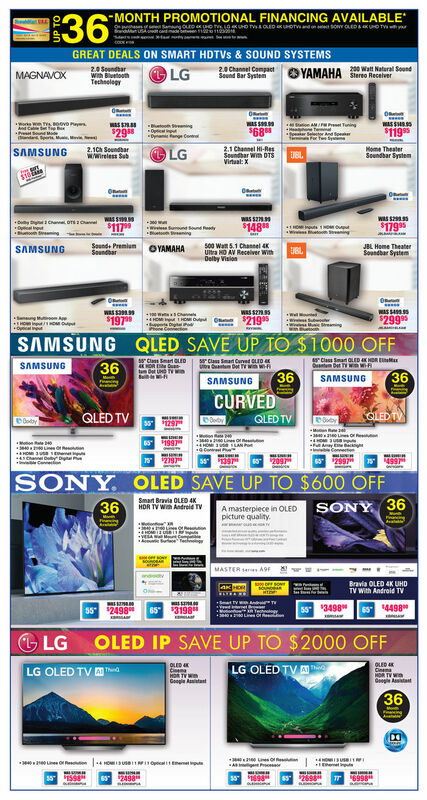 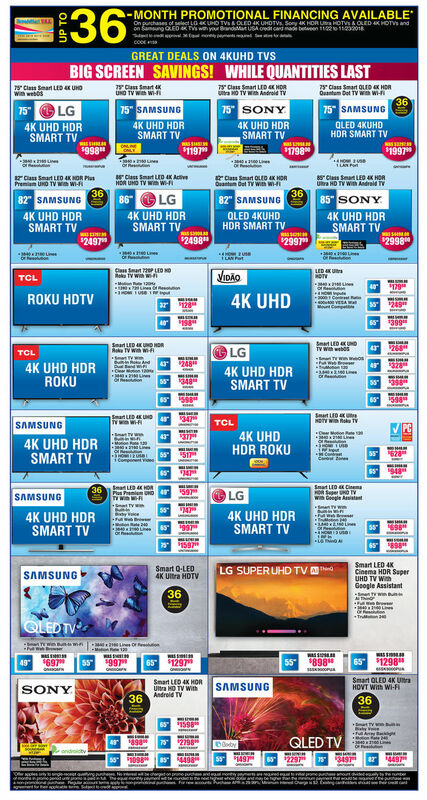 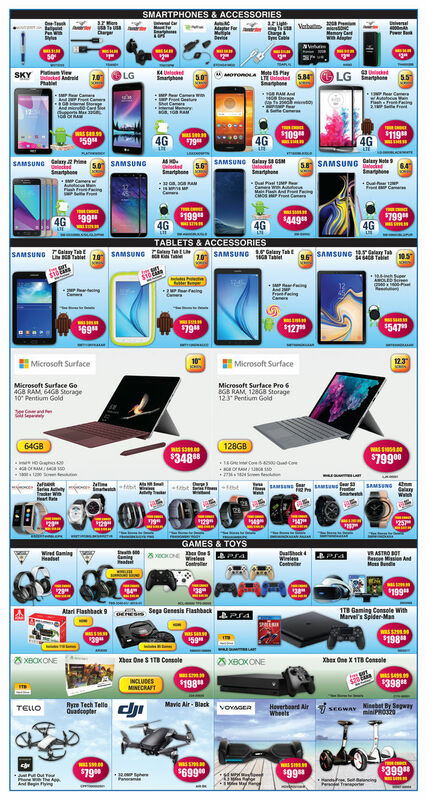 View this year Black Friday best deals on laptops, tablets, HDTVs, 4K Ultra HDTVs, or Refrigerators. 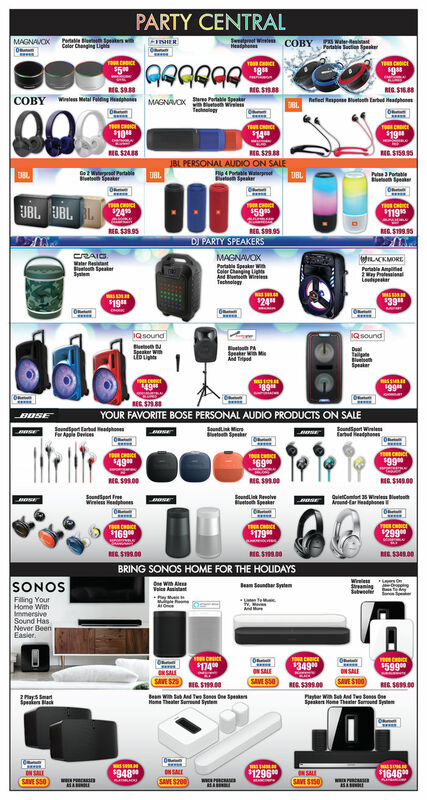 Find all BrandsMart Black Friday 2018 deals, offers and doorbusters.